Chasing down an uncertain future, Cassia makes her way to the Outer Provinces in pursuit of Ky-taken by the Society to his sure death-only to find that he has escaped into the majestic, but treacherous, canyons. On the wild frontier are glimmers of a different life and the enthralling promise of rebellion. But even as Cassia sacrifices everything to reunite with Ky, ingenious surprises from Xander may change the game once again. Crossed is the second book to the New York Times Bestseller Matched by author Ally Condie. The sequel, Crossed, switches between narration from both Cassia and Ky. Crossed starts off with Cassia located in the Outer Provinces in hope of finding Ky- the boy she loves. But just as Cassia comes close to being situated in the same place Ky is, Cassia finds out that Ky has escaped with a few others. Crossed really focuses on Cassia and Ky's hope to reunite with each other, while also showing Cassia's journey to find the Rebellion- a group of people that are willing to fight against the Society. Now, my first thoughts on this book is disappointment. I wasn't as happy with Crossed as I was with Matched. In Matched I was totally sucked in right from the begging with continuous escalation. Crossed was sort of the opposite. I was bored out of my mind until I reached the 200 mark- where spoiler alert Cassia and Ky reunite! The book did start to get better from here but nothing was really making me want to devour the book. One thing I really did love about Crossed was the stronger relationship we see being built between Ky and Cassia. I feel in this book, a strong "foundation" was built between the two of them- allowing them to be closer with one another. But that being said, I felt the love triangle kind of disappeared throughout most of this book. Yes, there is mention of our other boy Xander......but not as much as I would have thought. So basically, what I'm saying to all of you Team Xander bookworms, is that you're craving will not be satisfied. Another thing I did enjoy was the extra history we received on Ky's background. To me, Ky has always been a bit of a mystery but in Crossed we really get to learn more about him. I also found it so heartwarming to read Ky's thoughts toward Cassia, and the great love he has for her. When Ky is narrating, you really get to see how much he really cares about Cassia. The biggest issue with this book for me was it took way too long for the plot to get exciting, and even when it did, it was just so slow. I kept waiting and waiting for the climax of the book to hit but it just never came. The ending was boring and the cliffhanger wasn't intriguing enough for me to be excited about book three. Of course I will read book three when it comes out but, if it's anything like Crossed, I don't think I'll read the series again. After reading Matched, my expectations for this sequel were high and Crossed did not meet them. 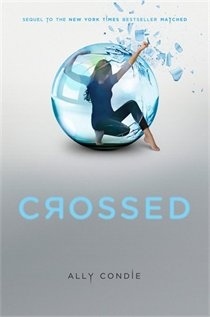 Crossed receives my YA Bookworm rating of 3/5. Did you guys have different opinions on the book? Who do you think Cassia should end up with? Leave me a comment, send me an e-mail, or follow me on twitter and let me know your thought! 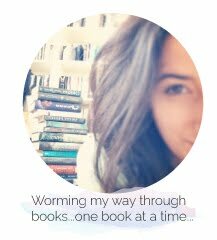 Keep reading!